NEW YORK - When it comes to politics, the Japanese like to say that a few steps ahead all is darkness. 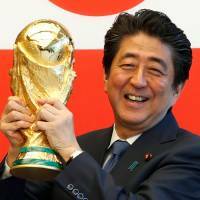 Just six months ago, Shinzo Abe scored yet another landslide electoral victory and seemed certain to stay in office until 2021, thus becoming Japan’s longest serving prime minister. Suddenly, all bets are off. A seemingly endless series of petty scandals has led to a sharp decline in Abe’s approval rate and no less a person than former Prime Minister Junichiro Koizumi, Abe’s erstwhile mentor, is predicting that a “loss of trust” will lead to Abe resigning sooner rather than later. Certainly, the autumn’s internal party election for leader of the Liberal Democratic Party — and thus prime minister — will no longer be a walkover. The question for investors is how much this matters. Has Abe changed the game permanently as Margaret Thatcher did in Britain during the 1980s, or could Japan slide back into a deflationary funk and another lost decade? In reality, some of the improvements to corporate governance and company profitability were accreting well before Abe took over in 2012. After the disastrous slump of the 1990s in which the book value of companies in the Topix index failed to increase, corporate Japan experienced a mini-boom in the 2003-2007 period. That progress was reversed by the global financial crisis and the damage was compounded by the tsunami and Fukushima nuclear meltdown of 2011. Other changes seem embedded. There is widespread consensus behind such moves as welcoming Asian tourism, promoting the role of women in the workforce and the associated encouragement of changes to the work-life balance. Some major companies now offer one year of paid paternity leave. Likewise, powerful mega-trends such as Japan’s structural labor shortage will be drivers of economic and social change, almost regardless of the political weather. There will be more labor-saving capital investment, intrasectoral consolidation and smarter use of human resources. The tilt to the Asian economies as markets and production hubs will continue apace. There is no question that Abe has been personally instrumental in switching the macroeconomic policy settings from fiscal austerity and hard money to reflation. Hence the scale and durability of the current bull run that has seen Japanese stocks comfortably outperform European and emerging-market benchmarks since he took over. The job is not finished by any means. Japan needs to run the economy hot for several more years for a virtuous circle of wage and consumption growth to develop. Abe’s likely successor — current front-runners are the bland Fumio Kishida and the hawkish Shigeru Ishiba, neither knowledgeable about economic issues — will have nothing like the personal authority necessary to rein in the bureaucrats. That is no accident. Japanese scandals are never what they appear to be about. To quote another political proverb, “the hidden side has a hidden side of its own.” The respected investigative magazine Facta describes what is going on as “a counter coup d’etat.” The original coup was Abe’s transfer of power from the bureaucracy to the Prime Minister’s Office. Now, top officials — aghast at Abe’s electoral successes and particularly incensed by his move to control appointments and other high-level personnel matters within the ministries — are hitting back. Ousting Abe would be a victory for the bureaucracy and herald a return to business as usual. Haruhiko Kuroda would still be governor of the Bank of Japan, with new Deputy Gov. Masazumi Wakatabe strongly committed to the reflationary cause. So a shock Abe resignation would probably be met with a stepping-up of the quantitative easing program. However, the BOJ’s 2 percent inflation target derives from a political compact with the government, not any legal requirement. A new prime minister influenced by the deflationists in the BOJ and elsewhere could simply scrap or amend it. Similarly, Finance Ministry bureaucrats and their acolytes would meet little resistance in enforcing tax hikes and fiscal austerity. It is too early to write Abe off. His approval rating may have slumped this year, but the opposition parties have gained almost nothing. The strength of a prime minister’s position is sometimes measured by the “Aoki Ratio” — named after LDP veteran Mikio Aoki — which adds together the party’s support rate and the Cabinet’s approval rate. Abe’s five short-lived predecessors saw their Aoki ratios plummet into the sub-50 percent danger zone and lost office soon after. Abe’s current score of 74 percent is relatively high. More serious revelations will have to be produced before his colleagues feel compelled to dump him. Japanese political scandals appear from nowhere, develop their own momentum, then often fade away once the behind-the-scenes arguments have been settled. In this case Abe doesn’t appear to have done anything wrong, though he and his wife may have shown poor judgment in their choice of associates. Investors should hope he rides out the storm and keeps the reflationary dynamic going. 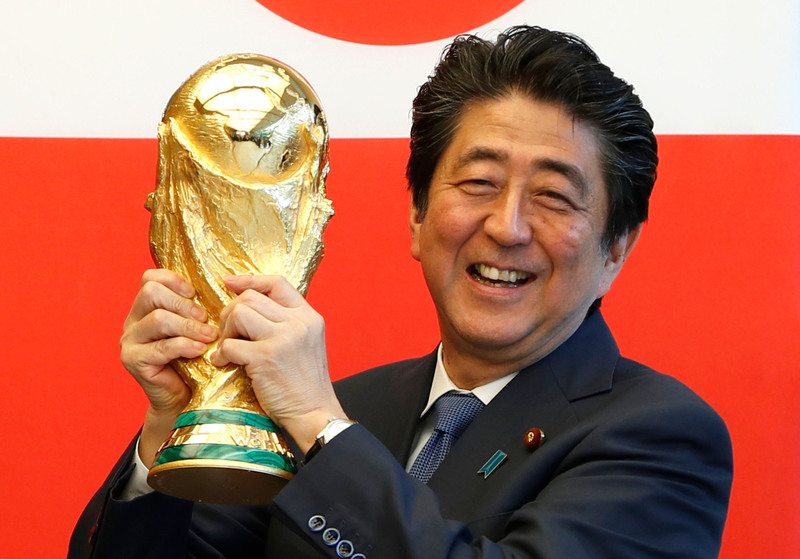 Abenomics would hardly be the same without Abe. Peter Tasker is an author and founding partner of Arcus Investment, a fund management firm specializing in Japan.